Internet-shop "K-TUNING" is the official distributor of the majority of products offered within the site www.k-tuning.com. Thus, our customers (clients) are entitled to the manufacturer's warranty where applicable. Please note that when you buy a product from intermediary firms through manufacturer-independent web sites or at the hands of individuals, you do so at your own risk, as the guarantee for this kind of products do not apply..
All stainless steel products and parts with chrome trim are covered by manufacturer warranty, if normally used. The manufacturer will repair or replace any defective (damaged) items that have been properly installed as described in the installation instructions included with each kit. Maximum liability shall not, and shall not exceed the amount of the original cost of goods. 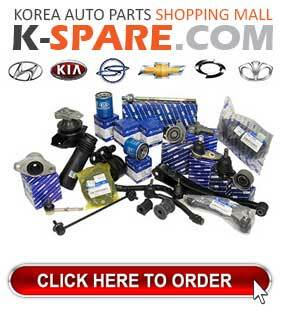 The warranty does not cover damage caused or acquired as a result of improper or careless use. The warranty does not cover damage caused as a result of the accident, including while driving in off-road conditions. The warranty is also void if the product has been modified or changed in any respect. The manufacturer will repair or replace any defective items installed properly as described in the attached instructions. Maximum liability shall not, and shall not exceed the amount of the original cost of goods. 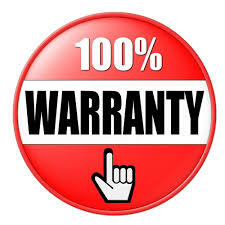 The warranty does not cover damage caused or acquired as a result of improper or careless use. The warranty does not cover damage caused as a result of the accident, including while driving in off-road conditions. Warranty is also void if the product has been modified or changed in any respect. The warranty on body kits made of fiberglass is valid for 1 year from date of purchase. Maximum liability shall not, and shall not exceed the amount of the original cost of goods. The warranty does not cover damage caused or acquired as a result of improper or careless use. The warranty does not cover damage caused as a result of the accident, including while driving in off-road conditions. Warranty is also void if the product has been modified or changed in any respect. Electric appliances and lighting items are guaranteed to be delivered in the advertised condition and working properly upon initial installation by a professional auto electrician. 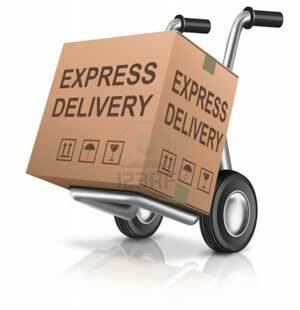 These products shall be subject return or exchange, provided mounting a certified specialist. Return and refund for the electrical and lighting items not provided. Electrical appliances and lighting items covered by the warranty only if their installation professional Car electrician. Emblems and logos are subject to a guarantee period of 1 year from date of purchase. Maximum liability shall not, and shall not exceed the amount of the original cost of goods. The warranty does not cover damage caused or acquired as a result of improper or careless use. The warranty does not cover damage caused as a result of the accident, including while driving in off-road conditions. Warranty is also void if the product has been modified or changed in any respect. Materials, ​used in the manufacturing of sun visors, retain their color (hue) do not fade over the entire service life. The warranty on chrome vents is 1 year from date of purchase. Maximum liability shall not, and shall not exceed the amount of the original cost of goods. The warranty does not cover damage caused or acquired as a result of improper or careless use. The warranty does not cover damage caused as a result of the accident, including while driving in off-road conditions. Warranty is also void if the product has been modified or changed in any respect..